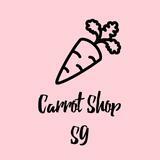 carrotshop nice and friendly buyer, fast replies, pleasant transaction! glad that the item reached you safely, hope to deal with you again! 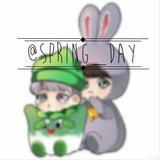 spring_day Great buyer to deal with! Very understanding and friendly :) tysm and hope you like the item! 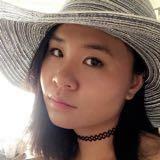 luisasairza Great buyer to deal with! Pleasant transaction! Speedy replies, thank you! @jjangsaebyuk is on Carousell - Follow to stay updated! In good condition, hardly used. Originally used for Preliminary HSC Course in English. The book is in good condition from the day I bought it. A good read. Never been used before. A wallet/clutch that can hold your essentials when going out. Including money, phone, cards, etc. Unofficial Posters [List of Artist Available] EXO-K x1 Girls' Generation x1 FT Island x1 Lee Minho x1 Teen Top x1 Super Junior x10 If you are interested please PM me and choose the number/s listed on the photos for the poster you want! All are $3 each! BRAND NEW ALBUM This album have never been used. Not in a seal. Prefer meet ups! If you want it shipped, just msg me and I'll tell you the overall price!